As we dive deeper into 2018, dealers are very focused on the upcoming riding season, launching new models and preparing events and offers to grow business. But let’s take a note from 2017 that can pay huge dividends through this year and beyond. Historically retail sales after December 25th decline dramatically. As little as 5 years ago, only 5 percent of consumers planned to shop after Christmas, according to a Deloitte survey. Compare that to the final week of 2017 where it was estimated 40 percent of consumers shopped for end of year deals and deeply discounted clearance merchandise. Were they shopping with you? Did your customers have a reason to shop with you? And if they did how did they find out about your discounted offers or services? All questions you MUST have answers to if you’re a retailer. I felt it was worthwhile to share an incredible success story with a dealership group in Florida and what they were able to do in retail business in only 2 short days following the Christmas holiday shopping season. Below is a case study to help you understand the impact a simple, immediate mobile campaign can have on your business. OBJECTIVE: The group wanted a final retail sales push to finish the year on a high note by promoting sales on General Merchandise inventory and to liquidate clearance General Merchandise inventory. 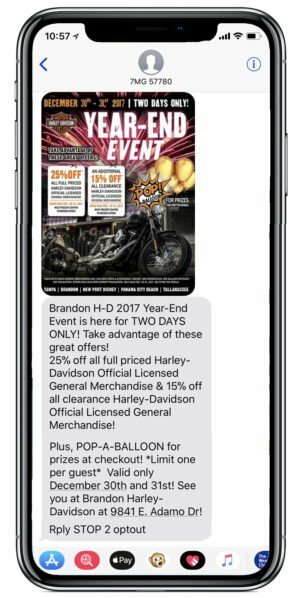 STRATEGY: 4 of the 5 dealerships leveraged their mobile club databases by sending a text alert to customers with very specific messages on the discounted offers during a time that sales are typically very sluggish and difficult to come by. 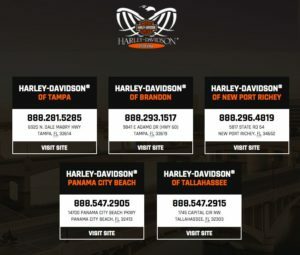 "Brandon H-D 2017 Year-End Event is here for TWO DAYS ONLY! 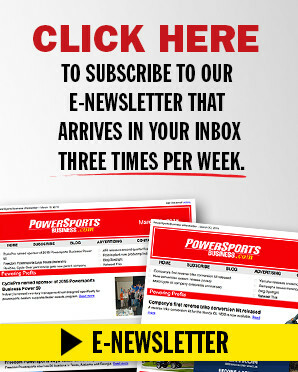 Take advantage of these great offers! 25% off all full priced Harley-Davidson Official Licensed General Merchandise & 15% off all clearance Harley-Davidson Official Licensed General Merchandise! Plus, POP-A-BALLOON for prizes at checkout! *Limit one per guest* Valid only December 30th and 31st! See you at Brandon Harley-Davidson at 9841 E. Adamo Dr! RESULTS: The four dealerships that sent the Year-End Event offer saw an increase of 122 percent in sales over the same sale the previous year. The 5th store that did not text the offer out only saw a 10 percent sales increase over the same period compared to 2016. The actual gross profit seen by the four stores sending the text offer was 120 percent year over year where the 5th store actually saw a decline of -5.27 percent in gross profit over the previous year. Ron Cariker is owner/president of 7 Media Group, a diverse mobile marketing firm based in the U.S. and the leading mobile provider for the powersports industry. Ron and his company have worked with over 150 dealers across the U.S. for the past 8 1/2 years.